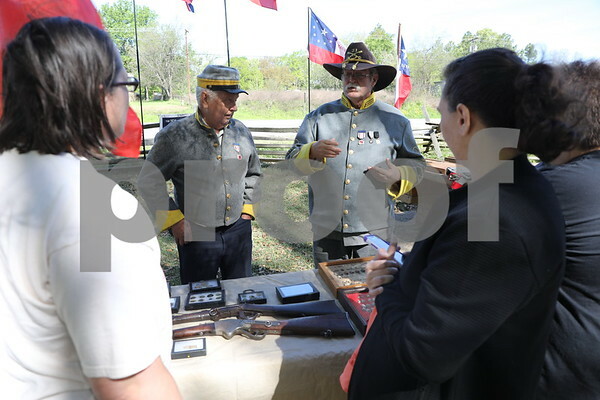 Civil War guns on display at Camp Ford in Tyler, Texas on Saturday, March 31, 2018. 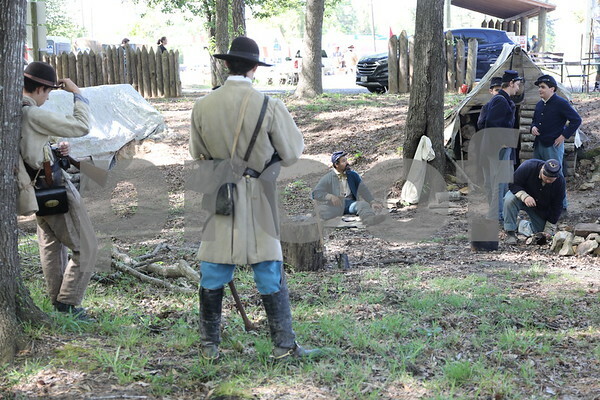 The American Prisoner Civil War camp featured dozens of reinactors shooting canons, cooking by the campfire, playing music and showing off their weapons during Living History Day. (Schuyler Wick/Tyler Morning Telegraph). 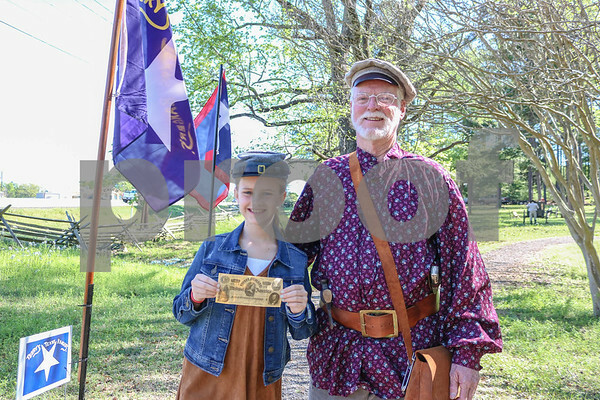 Avagail Greene (11) and Wyley Smith pose for a photo at Camp Ford in Tyler, Texas on Saturday, March 31, 2018. 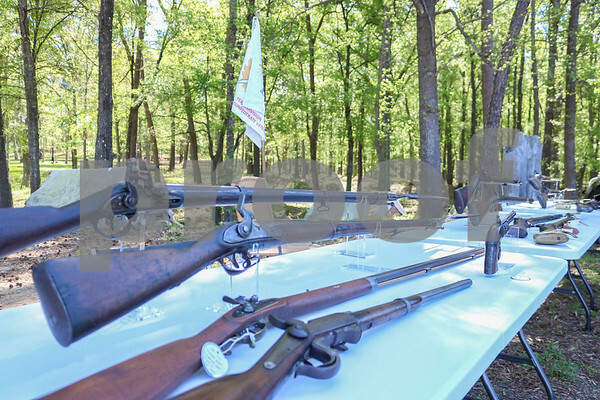 The American Prisoner Civil War camp featured dozens of reinactors shooting canons, cooking by the campfire, playing music and showing off their weapons during Living History Day. (Schuyler Wick/Tyler Morning Telegraph). 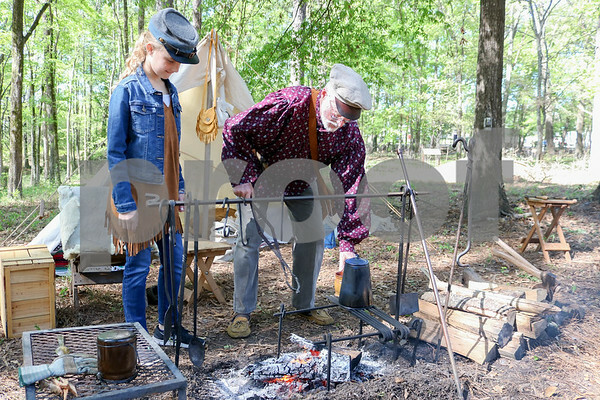 Avagail Greene (11) and Wyley Smith make a camp fire at Camp Ford in Tyler, Texas on Saturday, March 31, 2018. 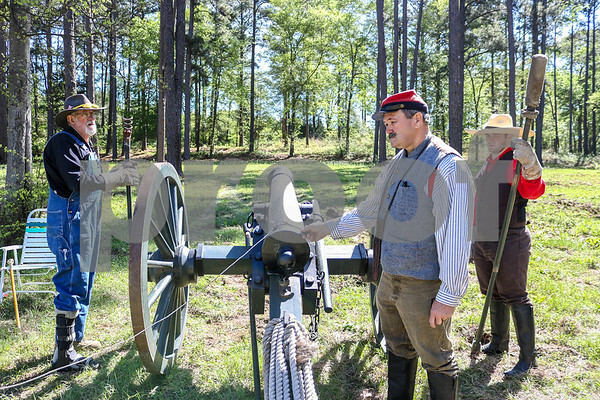 The American Prisoner Civil War camp featured dozens of reinactors shooting canons, cooking by the campfire, playing music and showing off their weapons during Living History Day. (Schuyler Wick/Tyler Morning Telegraph). 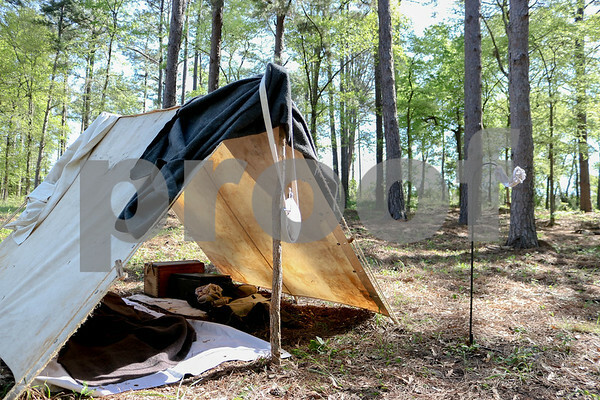 Tents set up at Camp Ford in Tyler, Texas on Saturday, March 31, 2018. 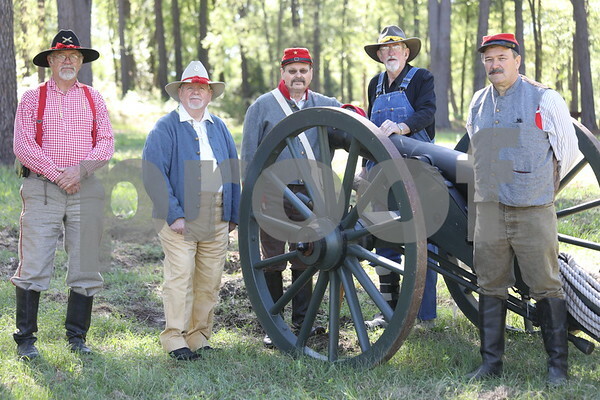 The American Prisoner Civil War camp featured dozens of reinactors shooting canons, cooking by the campfire, playing music and showing off their weapons during Living History Day. (Schuyler Wick/Tyler Morning Telegraph). 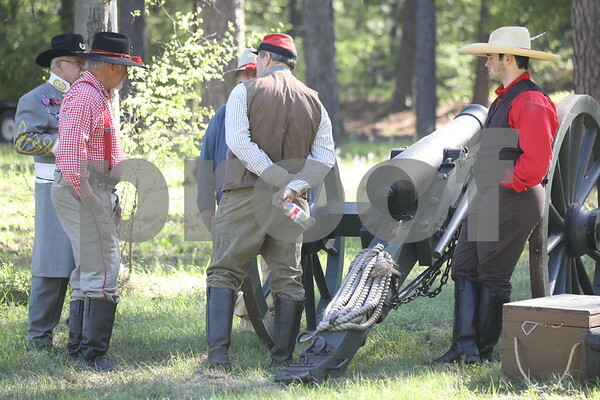 From left, Jim Abney, Terry Teems, Justin Horn and Buster Horn stand in front of a 1841 six pounder canon at Camp Ford in Tyler, Texas on Saturday, March 31, 2018. 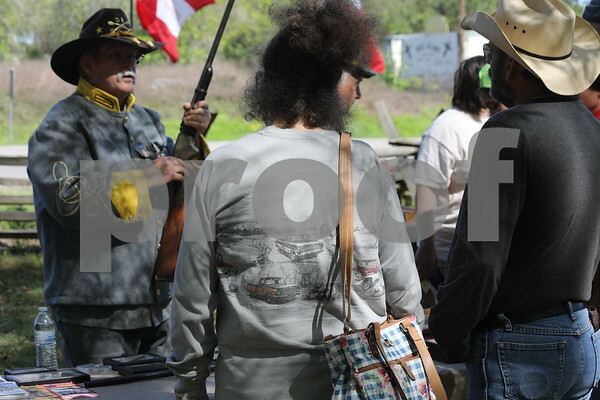 The American Prisoner Civil War camp featured dozens of reinactors shooting canons, cooking by the campfire, playing music and showing off their weapons during Living History Day. (Schuyler Wick/Tyler Morning Telegraph). 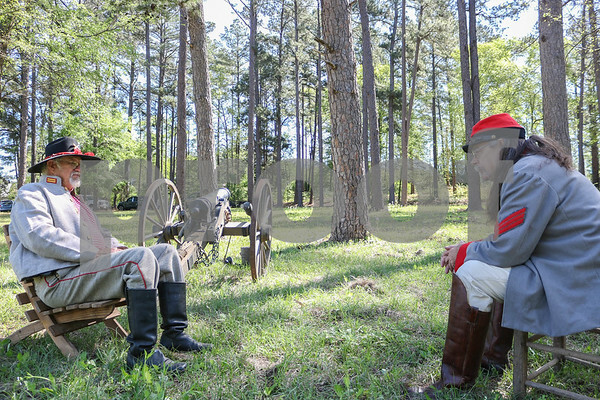 John Ash and Dusty Harrison from Fort Camp sit outside next to artillery canons at Camp Ford in Tyler, Texas on Saturday, March 31, 2018. 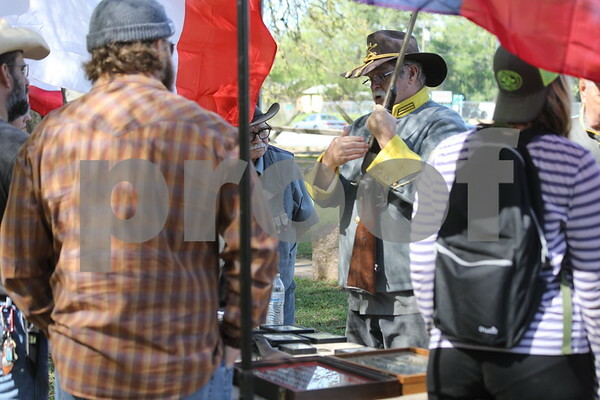 The American Prisoner Civil War camp featured dozens of reinactors shooting canons, cooking by the campfire, playing music and showing off their weapons during Living History Day. (Schuyler Wick/Tyler Morning Telegraph). 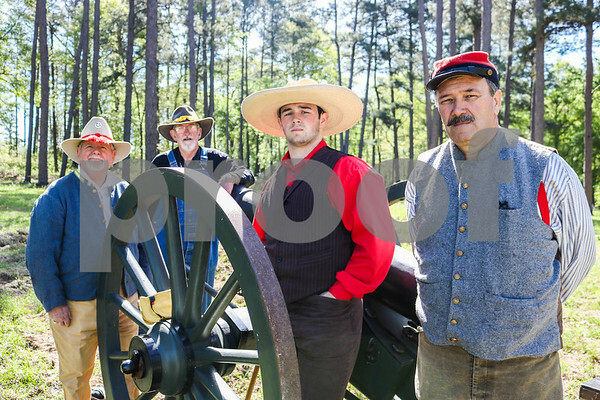 From left, Terry Teems, Justin Horn and Buster Horn stand in front of a 1841 six pounder canon at Camp Ford in Tyler, Texas on Saturday, March 31, 2018. 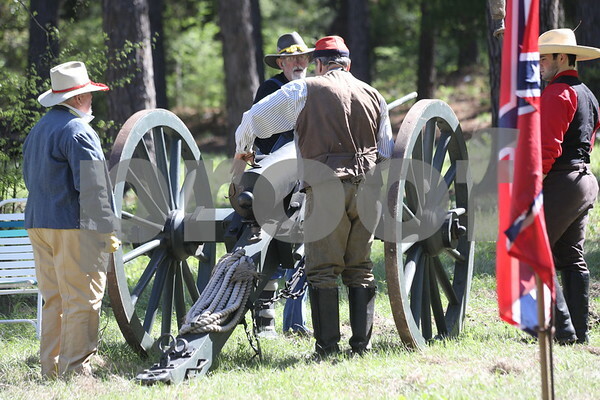 The American Prisoner Civil War camp featured dozens of reinactors shooting canons, cooking by the campfire, playing music and showing off their weapons during Living History Day. 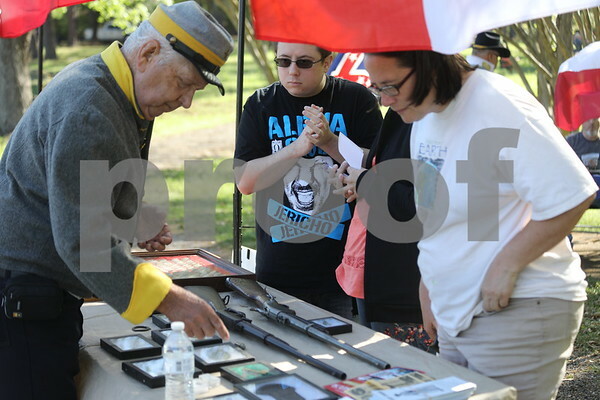 (Schuyler Wick/Tyler Morning Telegraph).